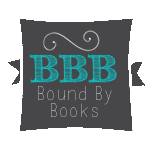 Bound By Books Book Review: Sinful Distraction by London Hale is LIVE! She's the one thing he won't give up on The calls started a year ago. I needed an easy release, and he was there, for a price. One call turned into two, and before I knew it, I was falling for the voice on the other end of the line. When he shows up and introduces himself as the newest firefighter on the island, I'm terrified...at first. As the mayor, the last thing I need is a scandal. But Riley won't take no for an answer, and I'm finding it hard to refuse him. He's a distraction she can't afford Kate, the mayor of Temperance Falls, has a naughty little secret. Except I'm not so little and a hell of a lot more than just naughty. A year of weekly phone calls with our identities disguised has left me craving more. Being together could ruin everything she's worked for, but there's no turning back. Now that we've actually met, now that I've had a taste, nothing will stand in my way of making her mine. Every London Hale book can be read in any order, or as a standalone. Looking for something quick, filthy, and taboo with a guaranteed HEA and no cheating? Sinful Distraction delivers.